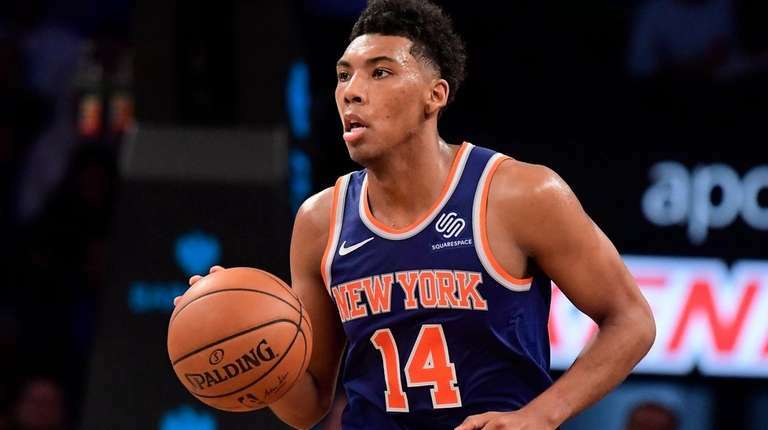 New York Knicks Fan Page Forums • View topic - Whoa Donovan Mitchell! Discuss matters related to other teams, players, and/or the league in general. I think he was Phil's number 2 guy behind Frank.. While kyle kuzma gets lots of print in L.A., DM has been the biggest surprise. However, a rookie needs a couple of years, so check back by the end of season. The performance caps off an impressive four-game stretch in which Mitchell is averaging 26.3 points on 52.2-percent shooting, including a sizzling 19-of-37 from 3-point range. He's thriving but keep in mind that the jazz are starved for offense. He's averaging over 14 fga per gm, shooting 40% from the field. I don't think he'd get the green light as much anywhere else. Some of the highlights. Any reason he didnt get drafted higher??? He seems....really good??? We've made a terrible mistake. Location: Charlotte, NC...Originated in Newark Noo Jerz. When I was watching videos of Frank Ntilikina and Donovan Mitchell working out with Chris Brickley in NY prior to the draft, I was very much impressed with Mitchell. He was very explosive and athletic compared to Frank. I was hoping Knicks pick Mitchell quite honestly. I read an article where Phil was talking to Gaines pre draft and was torn between Frank and Mitchell.The deciding factor was Phil saw a young Sasha Vujacic in Frank,while seeing a young Derek Fisher on Donovan. taowave wrote: I read an article where Phil was talking to Gaines pre draft and was torn between Frank and Mitchell.The deciding factor was Phil saw a young Sasha Vujacic in Frank,while seeing a young Derek Fisher on Donovan. Link? BTW: no one drafts a young Sasha Vujacic at 8.